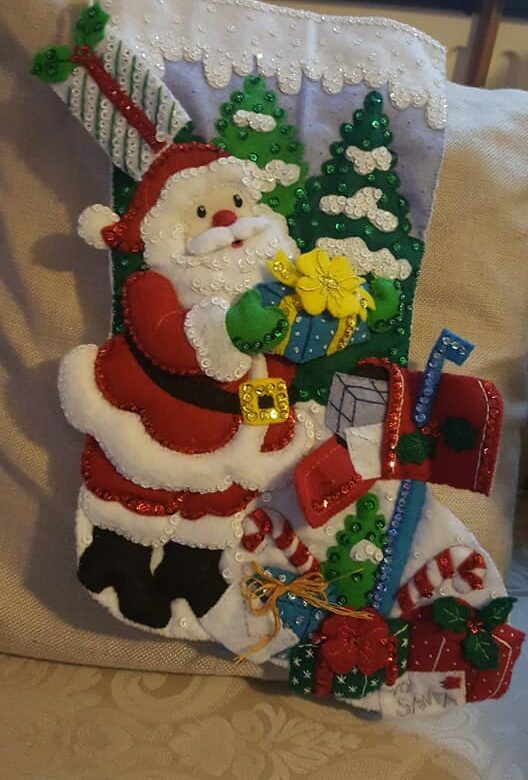 In 2015 I made KayCee and Ella a new Christmas stocking each. I’d made Aiden a stocking when he was a baby but it was a very simple Winnie The Pooh one. The ones I made for KayCee and Ella were very intricate and took a lot of time. That is gorgeous! It will be something he will have to keep forever….